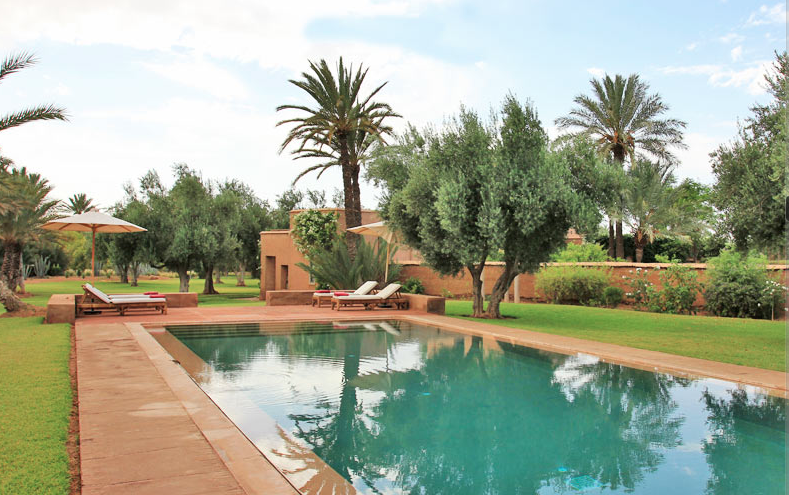 Located in the heart of the Palmeraie, this villa is a splendid property, within one of the most prestigious gated private resorts in Marrakech, El Majal. 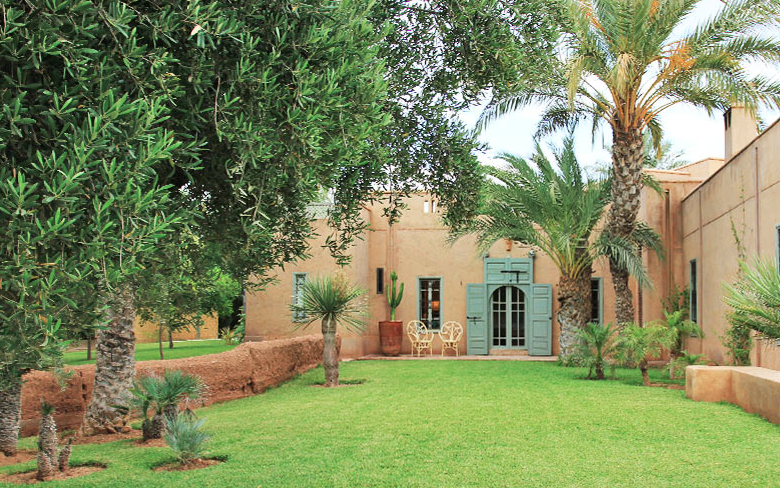 Surrounded by three and a half acres of land, ten minutes from golf courses, it offers the quintessence of the Palmeraie experience. 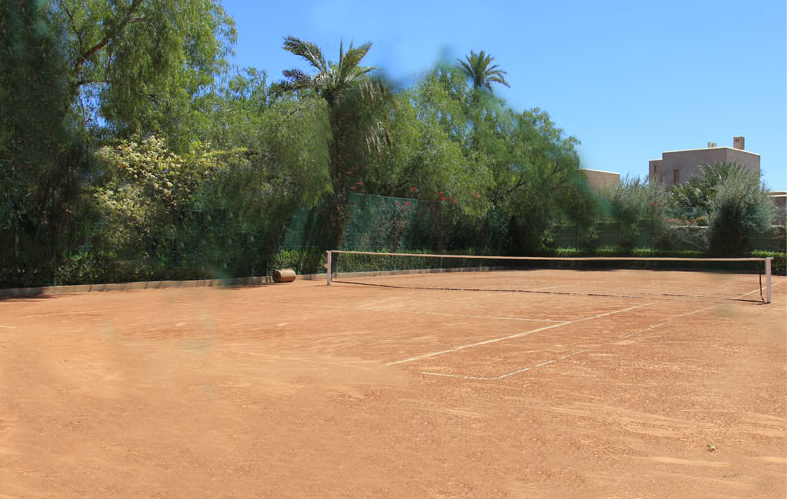 Within its vast landscaped gardens is a swimming pool and also a shared tennis court. 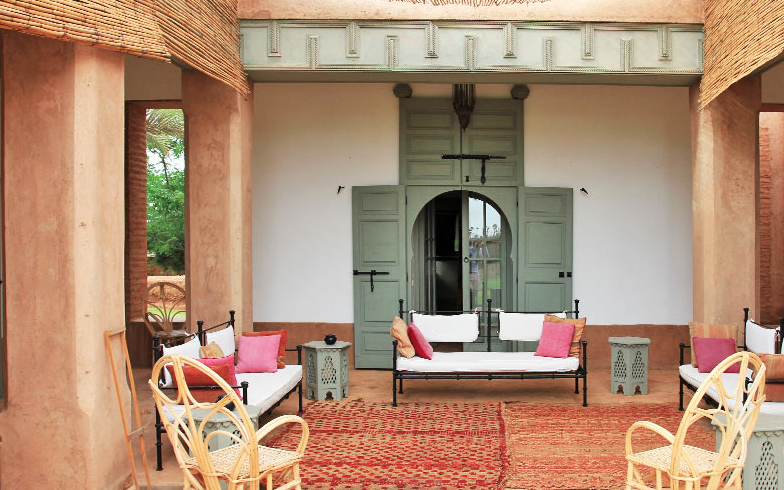 The accommodation comprises a main building, with four bedrooms, a pool house, a garden pavilion with two more bedrooms, and a house for staff. 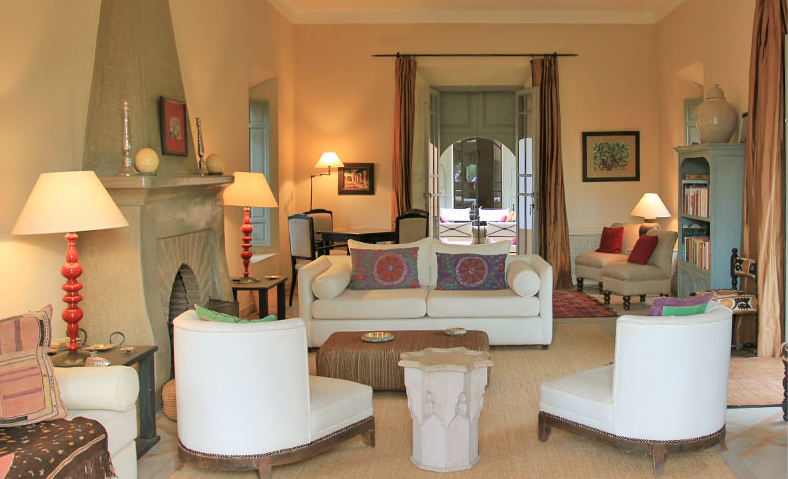 The main house has air conditioning and the garden pavilion has ceiling ventilators. 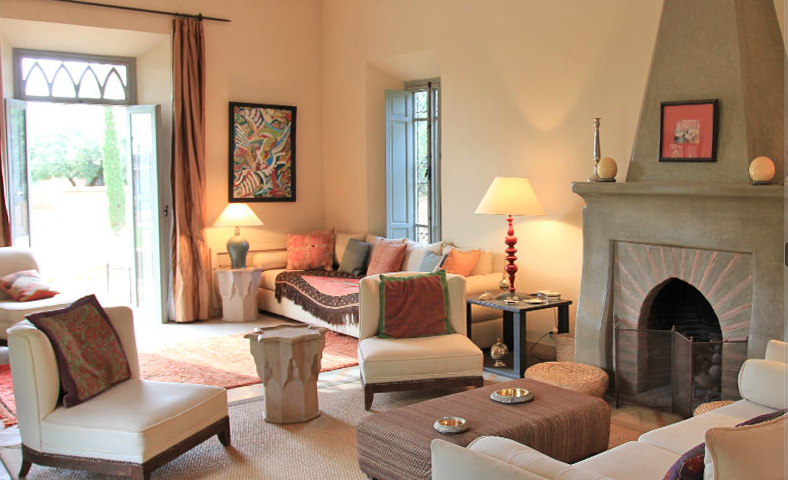 The main house is centrally heated during the winter and the garden pavilion is heated with electric space heaters. 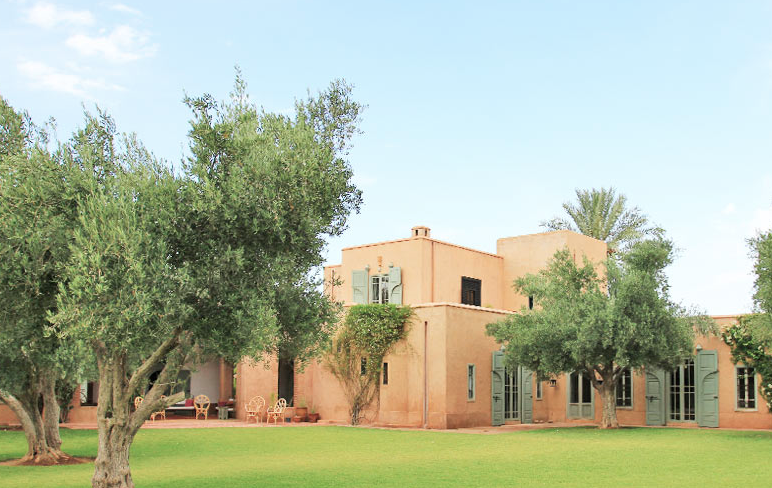 The property can be booked with or without the garden pavilion so there are prices for four bedrooms or six bedrooms occupancy. 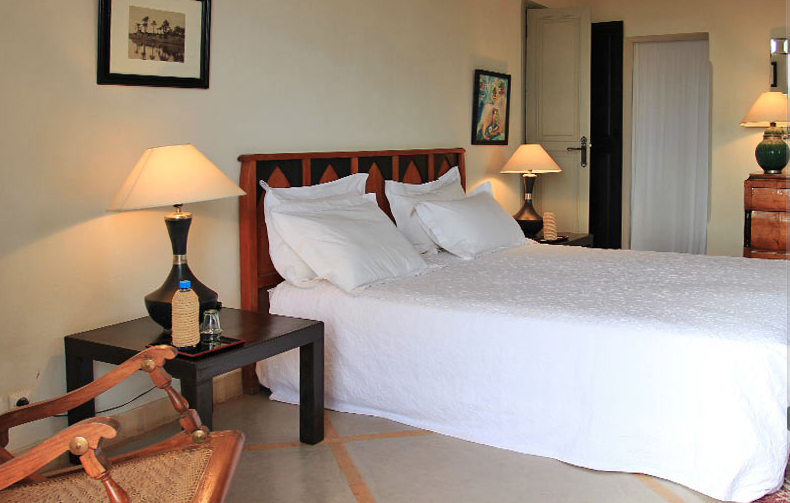 There are two twin/double bedrooms with en-suite bathrooms and direct access to garden. 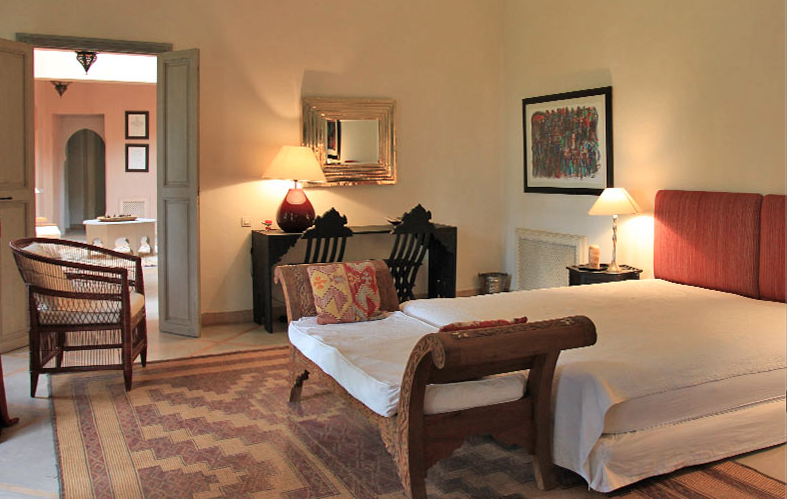 There is a double bedroom with four-poster bed, en-suite bathroom and direct access to garden. 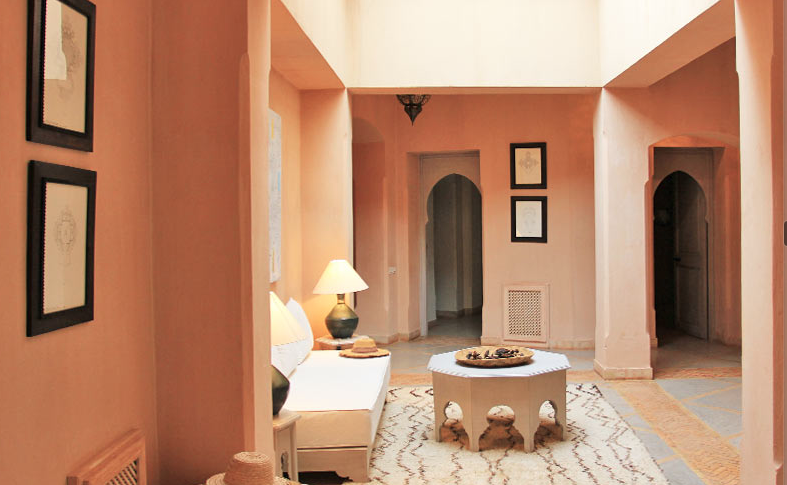 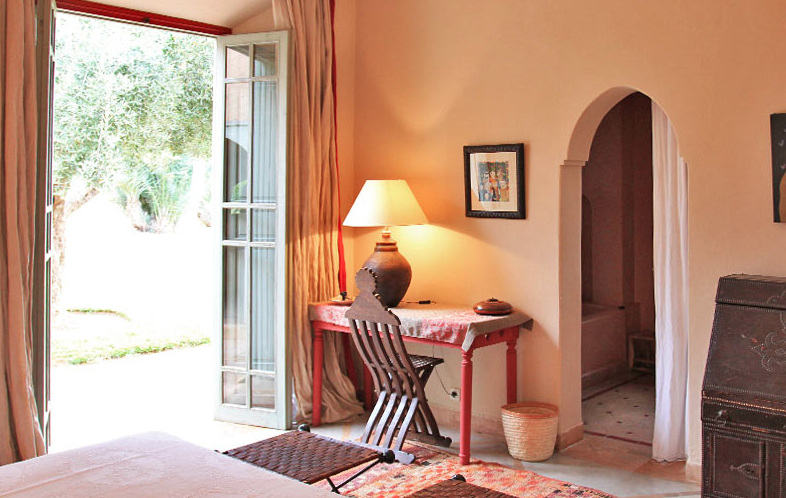 On the first floor is a master bedroom with en-suite bathroom (bath and large shower) and private terrace with views to the Atlas Mountains. 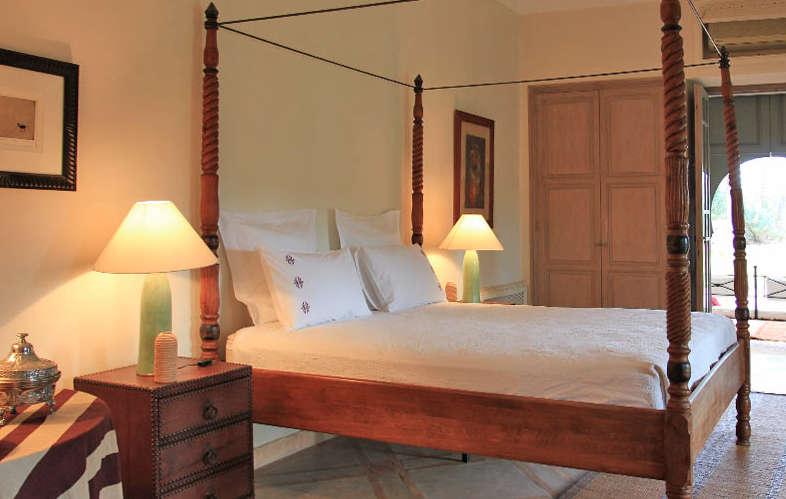 In the garden pavilion there are two bedrooms with twin/double beds and en-suite bathrooms, opening to garden. 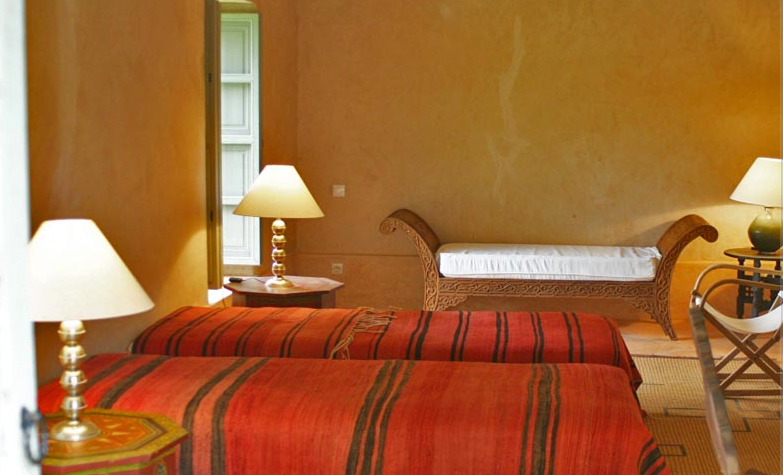 The villa is fully staffed with caretaker, maid and cook; food shopping is also provided. 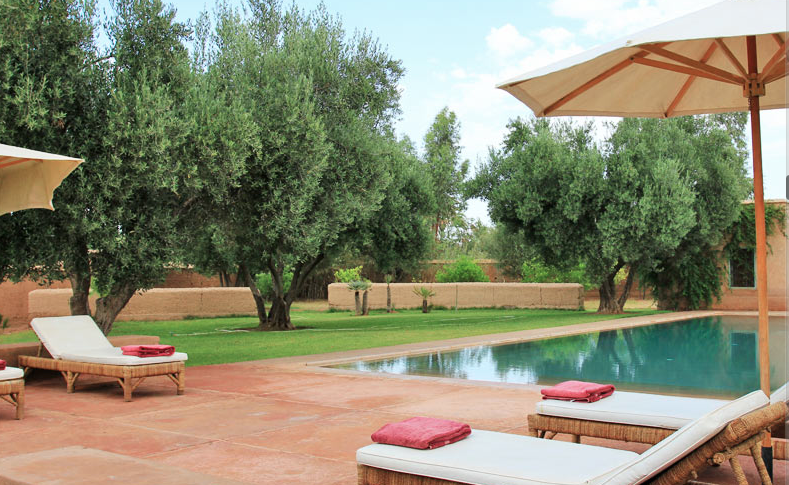 Marrakech city walls are fifteen minutes and airport twenty minutes.